Every so often I get hungry for a nice, sweet snack, but without all the work of baking. Immediately puppy chow came to mind because it’s quick and delicious. It’s also perfect for both kids and adults. When I did a little Googling for some inspiration, I found there are so many flavors and types of puppy chow out there right now. Cake, brownie, caramel, and even churro flavored. None of these quite had everything I was looking for, so I decided to create my own. I couldn’t decide between white and milk chocolate, so I decided why not use them both. I also had a random craving for marshmallow, so I decided that would make a good addition. And of course peanut butter makes everything better, so why not throw that into the mix as well. 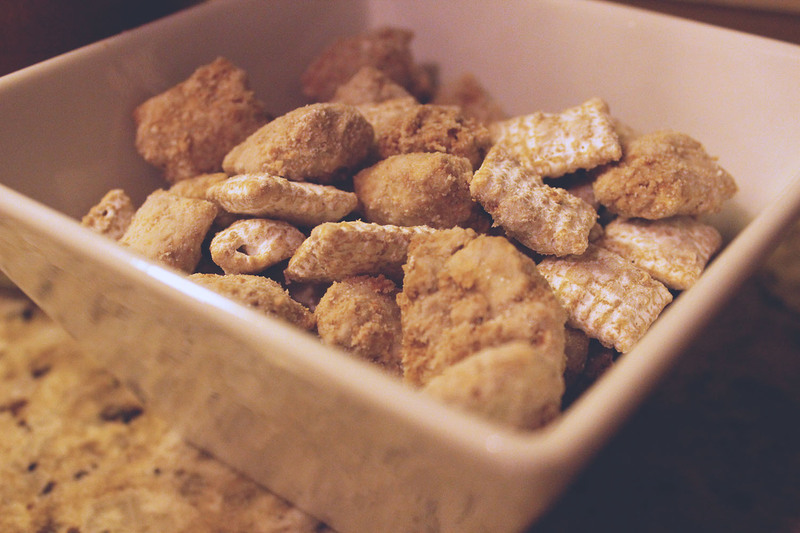 What you’re left with is a delicious, creamy, puppy chow that can be made in a hurry. 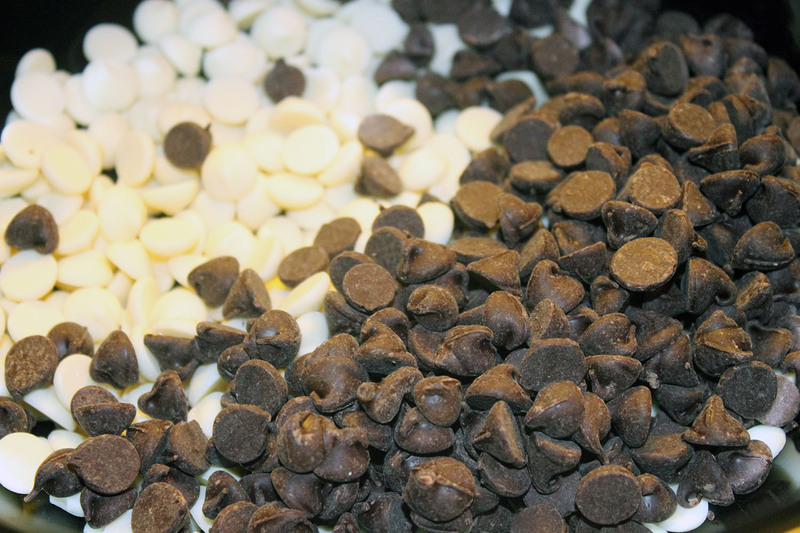 In large saucepan, heat butter, milk chocolate chips, and white chocolate chips over medium low heat. Stir continuously until chocolate is fully melted and completely incorporated with butter. Reduce heat to low and add in marshmallow fluff and peanut butter. Mix until well combined and a thick sauce forms. If mixture is too thick to easily stir, turn up the heat slightly to medium low until thoroughly mixed. In a large mixing bowl, add Chex cereal and pour chocolate mixture overtop. Gently fold sauce into cereal until cereal is well coated. 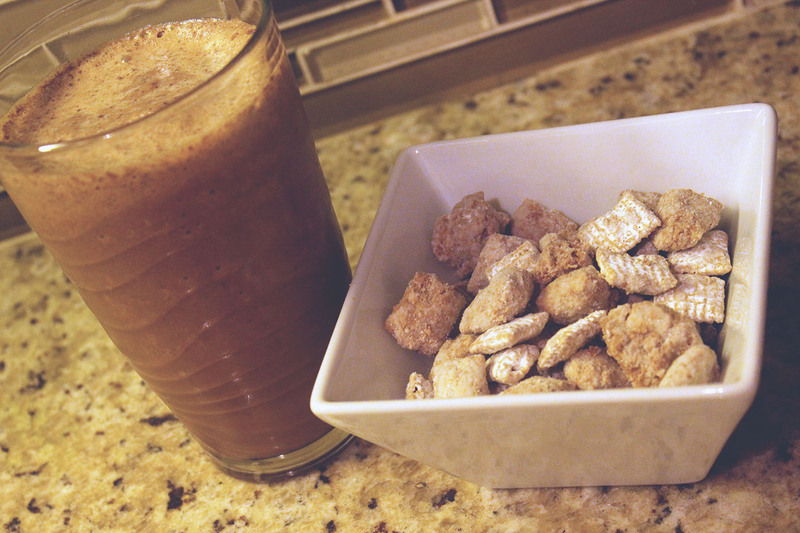 The cereal with be tough to mix at first. We found it was easier to use a pair of rubber cooking gloves and mixing with hands. Add powdered sugar to bowl and mix with spatula or hands to coat cereal. Store in an airtight container to keep fresh for up to two weeks.